How to Make a Star Wars BB Droid Costume « Adafruit Industries – Makers, hackers, artists, designers and engineers! The next Star Wars movie, The Last Jedi, will introduced at least one new BB droid to the ranks: BB-9E. The black and silver droid works for the First Order. 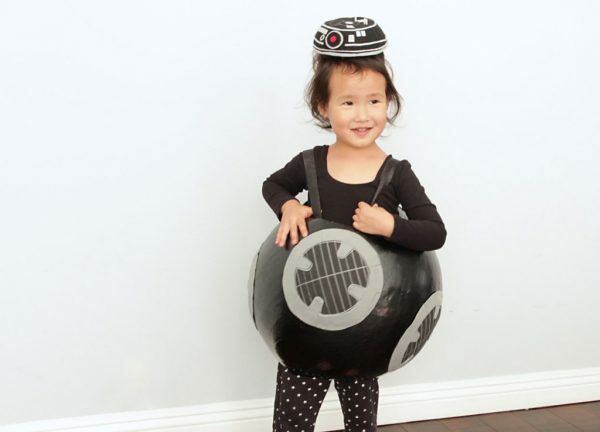 If you’d like to make a BB-9E costume for your kid for Halloween, Jennifer Landa has you covered at StarWars.com. She has tutorials for making BB-9E, Lando Calrissian, and Leia Organa costumes. We’re going to focus on BB-9E. 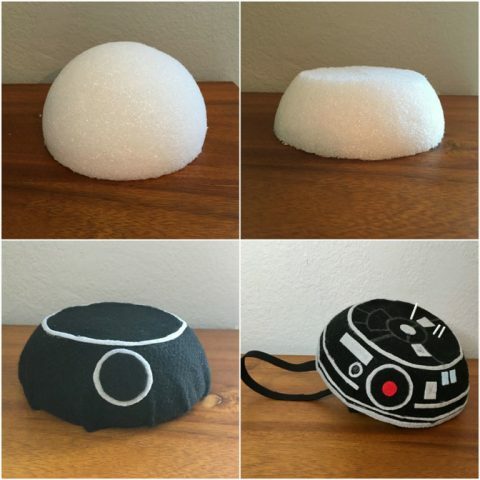 Cut off the top portion of the half foam ball to make a flat surface instead of a rounded one. Cover the entire foam piece with felt. 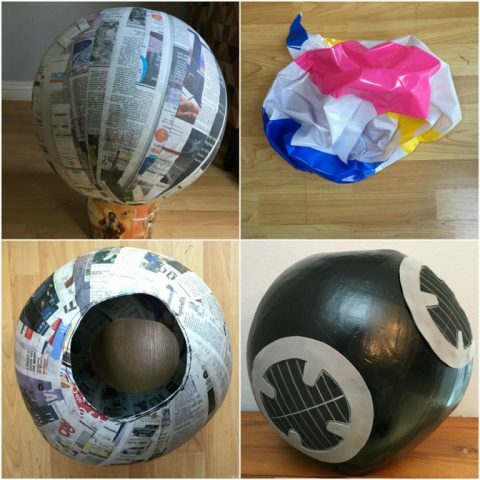 Create detail on BB-9E’s dome with craft felt and attach using hot glue. Make a headband by measuring and then cutting a piece of elastic long enough to fit around your child’s head. This strap can go around the back of your child’s head or under your child’s chin. Use hot glue to attach the elastic to both the left and right side of the bottom of BB-9E’s dome. See photos of the costume in progress below and keep in mind you could adapt the process to make a BB unit of any color. Get full instructions at StarWars.com.